Scott Marquis is a shareholder with the firm. He has an AV Preeminent® rating by Martindale-Hubbell®, the highest possible peer rating for ethical standards and legal ability. 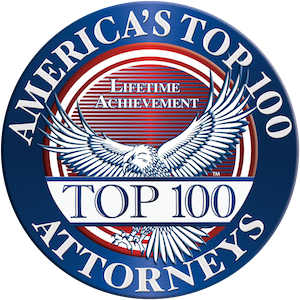 Mr. Marquis was also recently recognized for Lifetime Achievement by his selection to America’s Top 100 Attorneys® (2016) – an award limited to only 100 attorneys in each State who have displayed a lifetime of hard work, ethical standards, and community enriching accomplishments. Finally, Mr. Marquis has been distinguished as a Mountain States Super Lawyers (2018), and as one of the Top Lawyers by Vegas Inc. Magazine (2013). Mr. Marquis has lived in the Las Vegas Valley since 1975, and has been practicing law since 1997 when he joined MAC. During that time, Mr. Marquis has had the pleasure of representing some of the Valley’s most prominent individuals and organizations, including the following: Jake’s Crane, Lift Equipment Certification Company, FirstMed Health and Wellness Center, Boulder City Hospital, Sunshine Minting Inc., Las Vegas Billboards, Keller Williams The Marketplace, NAI Sauter Companies, Powerhouse Platinum, Aura Outdoor, Building Hope Nevada, Wynn Las Vegas, the Henderson Saddle Association, RL Homes, Accessible Space, Inc., the Greater Las Vegas Association of REALTORS®, the Southern Nevada Workforce Investment Board (aka workforceCONNECTIONS), The State Police Officers Council, the Housing Authorities of Clark County, Las Vegas, and after merger, the Southern Nevada Regional Housing Authority. Mr. Marquis strongly believes that his first priority is to keep his clients out of court by providing sound legal advice and well written agreements that greatly reduce his clients’ potential liabilities. Nevertheless, once all other reasonable options have been exhausted, Mr. Marquis has also proven to be a very successful litigator. For example, he represented clients against local housing developer, James Rhodes, and came away with a judgment in his clients’ favor and a payment from Rhodes of over $3.5 million. Mr. Marquis has significant experience in real estate and development matters in both the litigation and transactional context. He recently represented the Boulder City Hospital (a non-profit entity), in its $16 million expansion project. Previously, he represented the Housing Authority of the City of Las Vegas in several multi-million dollar developments, and has represented other businesses, developers, real estate owners, and contractors involved in real estate, construction and business transactions in Clark County. In addition, Mr. Marquis gained much of his real estate experience while representing the Greater Las Vegas Association of REALTORS® for over 10 years, during which time he had the opportunity to advise the Association’s Professional Standards Panels in over a hundred different REALTOR® ethics and arbitration hearings. Mr. Marquis also has significant experience in administrative law proceedings, as he has successfully represented clients before the Nevada Contractor’s Board, the Nevada Real Estate Commission and the Nevada Ethic’s Commission. Further, Mr. Marquis has significant experience in several other areas of the law, including those laws that control quasi municipal entities and political officials such as the Nevada Open Meeting Law (NRS Chapter 241) and the Ethics in Government Law (NRS 281A and NAC 281A). Indeed, while representing the local housing authorities, Mr. Marquis advised their Boards of Commissioners in well over 100 special and regular meetings. Away from the office, Mr. Marquis enjoys almost all outdoor activities – especially boating on Lake Mead.